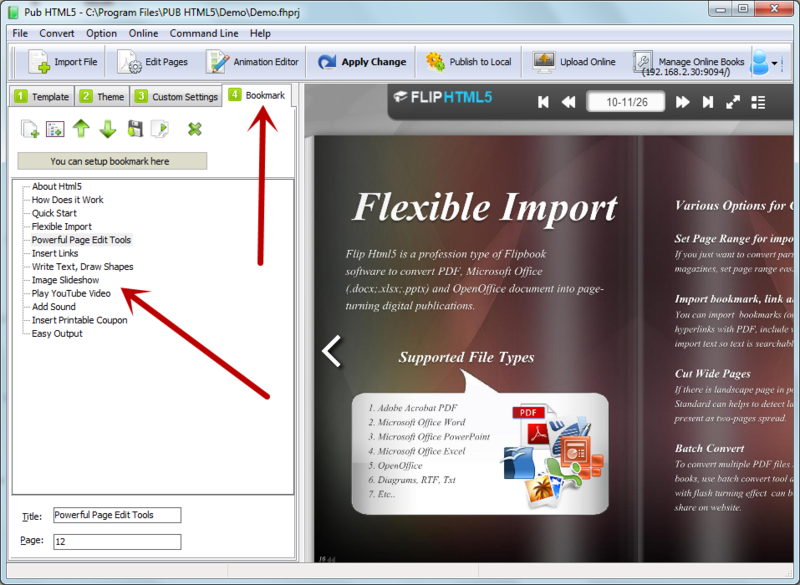 PUBhtml5 is designed with the function of automatically creating a table of content based on the original pdf files when they are converted into digital catalogues. Steps of automatically creating a table of content are foolproof ones. When you have imported your files and are ready to convert them, you may select the option IMPORT TABLE OF CONTENT in the popping out window to achieve the function. 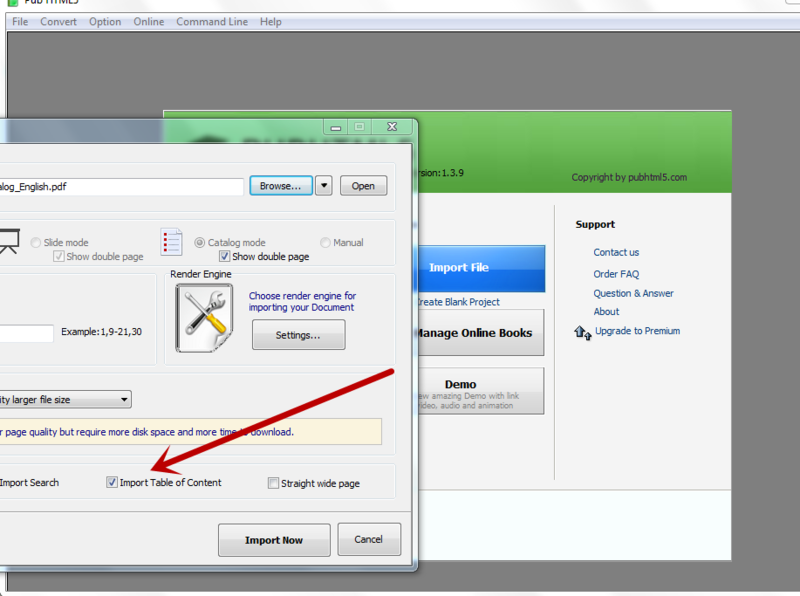 After the files being converted, you may check the effect by clicking the bookmark button in the toolbar. Now try it, create a table of content to enrich your digital publication!